Silicon Valley darling and unicorn health insurance startup Zenefits lost over 50% of its value through 2016. Process management might not sound thrilling, but it’s damn important. Process management refers to how all the different systems within your business link up together to form a coherent whole. If they don’t link up, they won’t make sense. And if your business doesn’t make sense… well, you get the stretched metaphor. It’s not good. Before we dive into what process management is and how it functions, let’s take a look at the high-profile example of poor process management in action. That’s right, I’m talking about the cautionary tale of Zenefits! Zenefits was founded in 2013 by Parker Conrad and Laks Srini as a way to help businesses with their human resources and managing health insurance. The company quickly rose to unicorn status thanks to an effective business model and concept, yet has been mired by problems as a result of poor organization. Conrad’s inability to instill effective processes – stemming from poor process management on the part of the senior team – lead to a breakdown in a crucial part of their business. 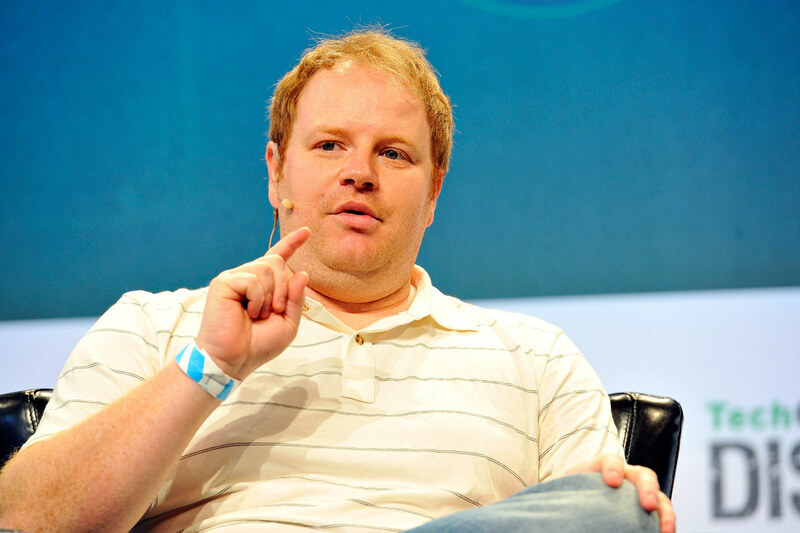 In early 2016, Zenefits said Parker Conrad – pictured below – had resigned as chief executive officer, citing “inadequate” processes and regulatory compliance. The former COO, Davids Sacks, was appointed as the new CEO to save Zenefits and reorganize the business from the top down. Sacks was a former Microsoft executive and the board preferred to see his experience in the role over the youth of Conrad. Less than a year later, he too has resigned. Could this have been avoided? Buzzfeed broke the news that up to 80% of the deals done in Washington by Zenefits violated state rules. Yet, their business model of gaining commission on insurance sold to their customers is in no way dependent on fraudulent practices. Those would have been successful and legal otherwise, had their brokers been properly licensed. These problems could have been managed if Zenefits had insisted on adherence to a series of clear processes. Considering the company was valued at $4.5bn before the scandal, it then saw Fidelity Investments write down their share value by 22% and in June lowered even further down to $2bn. The impact of poor process management was vividly apparent. Process management is a focus on end to end planning of business operations. This planning starts with deciding what the processes will be and understanding how they will be adhered to. Crucially, though, these processes do not exist to be static but to be iterated and improved on. The optimization of processes acts as the driving force behind making company operations more efficient and effective. To clarify strategic direction. It’s important for all parties to know what they’re doing and why. Moreover, your company’s daily operations should be leading toward the business’ overall strategic goals. Clarity in direction is crucial to achieving the goals your business should be achieving. To make sure the company’s resources are aligned efficiently. This may sound obvious, but inefficiency in business is a major problem. According to the Powering Productivity research, conducted across the US, UK, Netherlands, and Germany, the primary cause of inefficiencies are poor processes (44%). To improve the discipline in day to day operations. For employees to be effective, they need to know what is expected of them and how they can achieve this. This also helps raise individual efficiency as well as the operational efficiency. Process management also provides flexibility and agility to a company’s operations. If a process has a review system built into it then it will result in more reflection on how it can be improved from those who are using or overseeing it. For example, if you identify that your company is receiving a number of negative reviews, then you have found a potential problem. However, identifying the root of that problem requires understanding the journey a product or service takes en route to the end user. Having a clear and established set of processes allows for this journey to be documented and therefore analyzed to locate and fix problems. IBM published a white paper about how they implemented their business process management. With over $100 billion in revenue and more than 400,000 employees, they noticed that information available to customers was not always consistent and often outdated. A huge organization is expected to struggle to keep everyone on the same page, but when that organization is IBM you expect them to find a way to fix this. Fix it they did. Business event processing is the capture, enrichment, formatting and emission of events, the subsequent routing and any further processing of emitted events (sometimes in combination with other events), and the consumption of the processed events. There’s a reason they also call it “complex event processing“! It’s based on recording as much activity as possible and then improving the flow of processes from the data gathered to make them more effective. Through this implementation of process management techniques, IBM claims to have improved their credibility, customer satisfaction, and increased their revenue. How could Process Street help my process management? Through using Process Street, you can map processes, allocate tasks, and track achievements. You can set high-level process maps which show the complete pipeline of the business. This helps keep you focused on your strategic goals and to understand how the different sections of the business work towards this point. 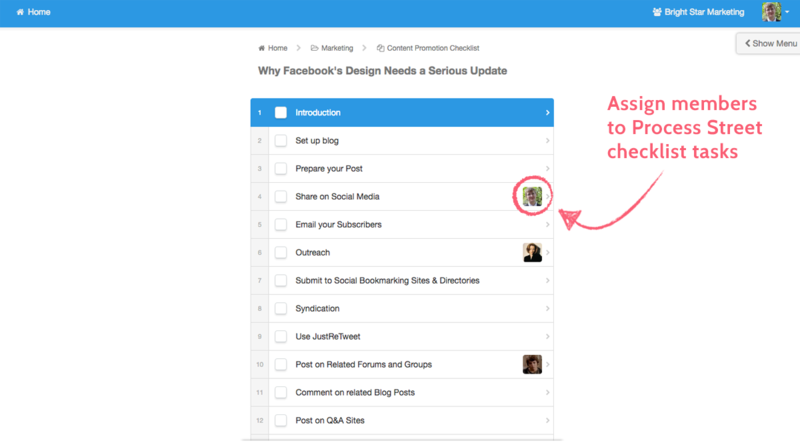 You can create smaller more focused processes which detail and track the method taken for regular recurring tasks. Through creating these specific step by step processes you can map the intricacies of how the company operates and where improvements can be made. Within these focused processes, you can increase efficiency and productivity through automation. Check out the video below for an introduction to workflow automation. One important aspect of good process management is to allow each worker to understand their place within a process larger than themselves. By understanding how their work, or failure to complete their work, can cause upstream or downstream issues employees can be more empathetic of the importance of completing their role well. We’ve recently launched a new feature which we’ve been wanting to showcase for a while; task-based assignments. Now, you can create a process which contains multiple roles or responsibilities and have a number of employees all tasked to the same checklist. This results in each employee overseeing the performance of the others. Plus, it shows each employee how the delivery of products or services shuts down without their input. What processes could Zenefits have implemented? One of the problems Zenefits faced was that a large number of its brokers operating within Washington did not have the appropriate licenses. We can only speculate as to how Sacks changed internal processes. However, in the same week in which Sacks announced he would be stepping down from CEO the California insurance regulator fined Zenefits $7 million. 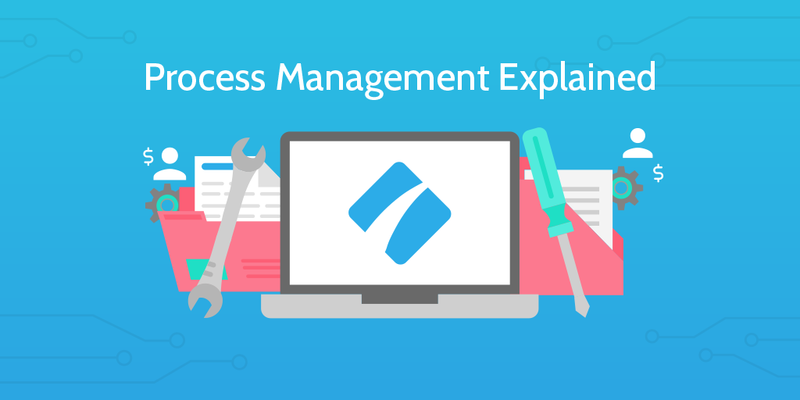 If we imagine Zenefits were to choose Process Street to help improve their internal processes, how might they have been able to use the software to their advantage? If you have an onboarding process, or a process dedicated to when an employee moves to service a different location, then you could build in protections to combat oversight. Somewhere in the process, you could include a task to make sure the employee is licensed in the state/states they’ll be operating out of. With our form field functions, you can add a “file upload” area for a new hire to upload a digital copy of the license. After this task, you can create another task which is allocated to the direct line manager, the relevant member of the compliance department or both. Creating a simple addition like this to an onboarding process pushes the employee into compliance with the law while providing two checks – one from the line manager and another who is separate from the worker, and could even be in a different state. Very quickly and very simply you can bring important information in front of the relevant compliance officers, and you’ve integrated compliance into the expected activity of the original employee. I’m sure the difficulties Zenefits faced contained added complexities, but the core principle remains true: create a process which follows the rules and you will follow the rules. Not quite as catchy as “fail to plan, plan to fail” but equally true. With effective process management incorporated into their operations, the cautionary tale of Zenefits could find itself with a happy ever after. How have you been able to employ the task based assignments? Let us know your use-cases in the comments below and we may follow up with you to find out more!